These changes will impact virtually all companies, whether lessors or lessees. Regardless of your company's size or industry, under the new standards your balance sheet will be different. In addition to presenting a new set of challenges that need to be addressed by the end of this year, the changes in lease accounting also offer an excellent opportunity for companies to make major improvements in their end-to-end lease management practices. All companies, whether lessors, lessees or both, need to leverage the process of changing their lease management methodologies. This will enable them to gain better visibility of their lease portfolios, streamline the process of lease management and reduce overall costs. 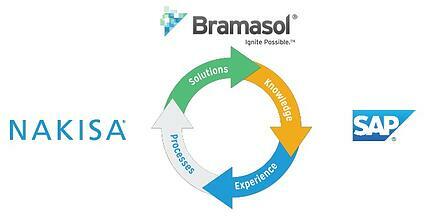 As long-term innovation partners with SAP, Bramasol and Nakisa have brought together a comprehensive set of solutions and expertise to help companies assess and prepare for the new FASB and IASB leasing standards. These solutions unify disparate leasing data and provide enhanced visibility for companies to make informed decisions on their lease portfolios, assets and liabilities while conforming with the new requirements. 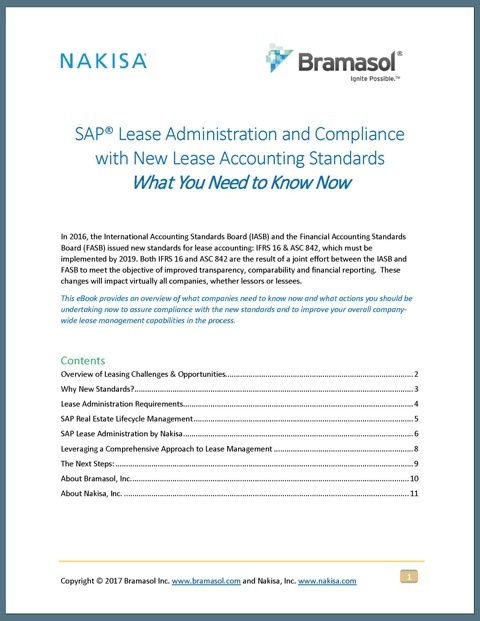 SAP Lease Administration and Compliance with New Lease Accounting Standards: What You Need to Know Now.